It has been a few days since the latest Wikileaks fiasco began, and news channels, online media sources and Twitter have been flooded with constant updates. At this time, I really would love it if I didn’t have to see 1) the word Wikileaks followed by “dump” 2) the word Wikileaks followed by “state secrets revealed” (I mean, really? Berlosconi partying? Sarkozy chasing puppies? ), 3) photos of Julian Assange in Zoolander-style poses, or 4) just the word Wikileaks. 1. Hundreds of millions of dollars of U.S. aid money were not used for its intended purpose. Yes, because U.S. aid to Pakistan has been spent efficiently for decades. 2. In a private meeting with former U.S. ambassador Anne Patterson, COAS Gen. Ashfaq Parvez Kayani and ISI Chief Gen. Shuja Pasha “complained vociferously” about provisions in the aid package calling for military accountability towards the civilian government (via The News). If you look up military accountability in the dictionary, you might find a photo of Kayani showcasing a “choice” finger. 3. The U.S. is frustrated with Pakistan. There is mutual distrust. They no likey each other. 2. 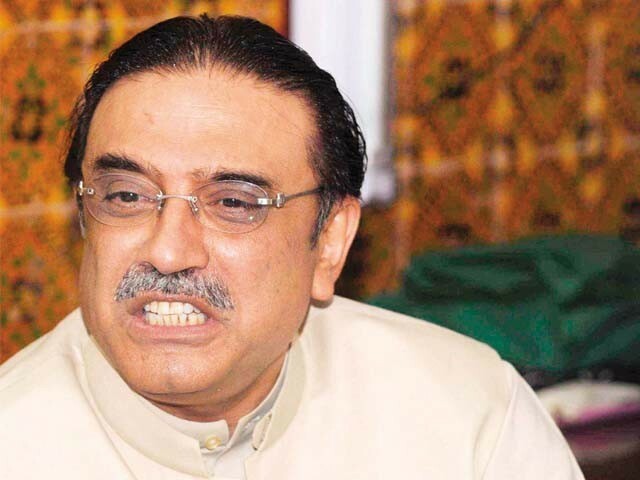 In February 2009, Zardari told his son Bilawal Bhutto-Zardari that if he was assassinated, then Bilawal should name Zardari’s sister Faryal Talpur as president. According to Express, Kayani “told U.S. ambassador to Pakistan Anne Patterson that Talpur would be a better president than her brother.” Apparently we are the Islamic Monarchy of Pakistan. 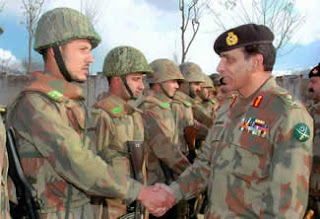 Senior military commanders have equally and repeatedly stressed their concerns that the courts are incapable of dealing with many of those detained on the battlefield and their fears that if detainees are handed over to the courts and formally charged, they will be released, placing Pakistan Army and FC troops at risk. This belief by commanding officers that the judicial system was incapable of prosecuting detainees, as well as the belief that revenge killings were “key to maintaining a unit’s honor,” were reportedly reasons cited by Patterson that many of these alleged extrajudicial killings and abuse happened. However, while the U.S. privately expressed concern about these murders, they “deemed it was better not to comment publicly in order to allow the Pakistani army to take action on its own,” noted Declan Walsh of the Guardian. Moreover, while the U.S. discussed proposing alternatives to military commanders in the hopes reducing human rights abuses, the memo ultimately advised that the U.S. “avoid comment on these incidents to the extent possible,” in order to preserve goodwill and resist criticizing this strategic ally too much. All great powers intrude in pursuit of their own interests; it’s what they do – and picking up where the British left off, the U.S. is no different. It is a measure of the Pakistani state’s weakness that the Americans apparently have such scope and leeway to influence and direct its affairs.What is equally remarkable, however, is how little the Americans appear able, ultimately, to control their satraps. The biggest casualties from this constant game, noted Tisdall, are ordinary Pakistanis, who suffer grievously from terrorism, “a ravaged economy, acute poverty and lack of education; and in the all but forgotten but still terrible aftermath of this year’s floods.” I’d have to agree. U.S.-Pakistan’s Strategic Dialogue – In Pictures. Strategic Dialogue. Sustained partnership. Long-term commitment. If I hear those terms used in three consecutive sentences again, I may have an aneurysm. It would not be an exaggeration to say that we have all been over-saturated with news of Wednesday’s high-level talks between the United States and Pakistan. Prior to the dialogue, Islamabad presented a 56-page “wish list” to Washington, detailing their priorities and demands – including a desire for a civilian nuclear deal, drone strike technology, and aid for development issues like education, agriculture, as well as $647 million for dams. Most of the agreements announced after the one-day meeting had been decided earlier, including disbursement of a new $7.5-billion, five-year U.S. aid package for Pakistan’s energy, water, agricultural and education sectors. Long-standing Pakistani complaints about nearly $1 billion in promised but unpaid U.S. reimbursements for Pakistan’s counterinsurgency operations had been largely resolved, with the remaining money to be paid by the end of June. So yes, as expected, a diplomatic “We’re Just Not That Into You” move on the civilian nuclear deal and drone strike technology, but a thumbs up on the substantial topics, i.e. development. That is certainly a plus, depending on how well it’s implemented and allocated. Clinton: "Yes, pookie poo?" Qureshi: "Just looking into your eyes shnookie." Qureshi: "Oh lookie! It's a leprechaun and a rainbow!" Clinton: "And a puppy with a bow!" Qureshi: "Hahaha. You're so FUNNY, shmoopsy!" Clinton: "I'm just catching your grease in my glass! Snookie!" "I'm not your friend, buddy!" "I'm not your buddy, friend!" Disclaimer: Please excuse the snarkiness. It is astonishing that America should fail to grasp what France has the good sense to appreciate. On Tuesday the French Foreign Office said attacks like the one by a drone in FATA on Monday caused human tragedies and undermined international efforts to fight terror. This is a situation that is unlikely to bode well for U.S.-Pakistan relations. According to the aforementioned NY Times article, there is an American view that Pakistan lacks the will and ability to combat militants. An anonymous U.S. official told the news agency, “The situation in the tribal areas is not tolerable…We have to be more assertive. Orders have been issued.” What is both disturbing and interesting is that this is the same “cowboy mentality” that exacerbated anti-American perceptions throughout the world in the first place. Although Washington says it is fighting a war for hearts and minds, it fails to comprehend the very premise behind such a notion. Unilateral, unauthorized operations may win some tangible battles, but are ultimately detrimental to the greater ideological war. It is surprising that after five years in Afghanistan and Iraq, the Bush administration still lacks the foresight necessary to realize the repurcussions of their actions.